5. 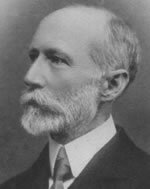 Chamberlain, Basil Hall. Works 1880~1911. The most widely-respected translator of Japanese literature before Arthur Waley, Basil Hall Chamberlain, ca. 1895 ( ). a. Translations. Chamberlain’s The Classical Poetry of the Japanese (London: Trübner, 1880) was the first knowledgeable study of Japanese poetry in a European language, and together with Bashô [Ap] and the Japanese Poetical Epigram (Transactions of the Asiatic Society of Japan. 1st ser., 1902) made Chamberlain the most widely-respected European translator of Japanese literature before Waley. The combined and enlarged edition of the works, the 1910 Japanese Poetry (London: Murray), kept the translations in print, and through the First World War they were the versions to which any serious European or American student turned. Both Classical Poetry and Japanese Poetry include description of and translation from the nô—called here the ‘lyric drama’—and Bashô includes the first European account of renga (linked verse). Harmer (A51) offers compelling evidence that Chamberlain was among Pound’s chief sources of information about the ‘hokku’, and suggests that Chamberlain’s work had been recommended to Pound by Fletcher; and although Pound does not list Chamberlain among the earlier translators of the nô to whom he turned for guidance in preparing his own versions of the plays (see BK13a), he would have been aware of Chamberlain’s work, since it is cited by Stopes (see D23), among the sources about the nô that both Pound and Yeats acknowledge. Chamberlain’s equation of the ‘lyric drama’ of Japan with the drama of classical Greece is echoed two decades later in the more famous elaboration of the point by Fenollosa, who acknowledges Chamberlain’s work (see 10b and BK13b). Chamberlain’s translations are discussed in honorific terms by Binyon (BC9), Blunden (BD47, 73, 117, 138), Bynner (BE8), Fletcher (BH15, 22c), and Plomer (BJ10d), though insulted by Lowell for their conventional forms (BI19). According to Harmer, the origin of Couchoud’s interest in Japanese poetry (see 19) was Chamberlain’s Bashô; the effect of Chamberlain’s translations on twentieth-century English-language poetry is discussed by Harmer, Hall (A16), Seaver (A17), and Schwartz (A18). 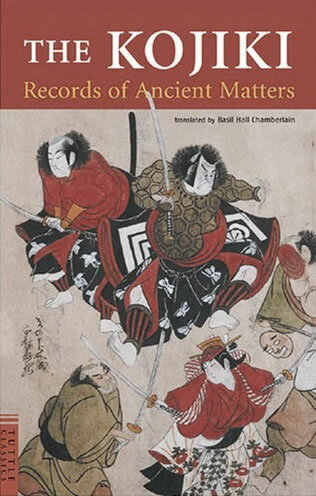 Among Chamberlain’s several other translations from the Japanese is the first English version of the Kojiki (Ap) (Tokyo: Meiklejohn, 1882), and Women and Wisdom of Japan (selections from Onna daigaku), by Kaibara Ekiken (Wisdom of the East Series, London: Murray, 1905). See also A12, 16-18, 24, 30, 51, 53, BH15, CC4, 6, 7, 8, and 10.
b. Other works. 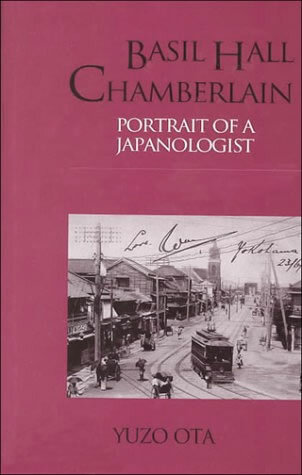 While it is primarily Chamberlain’s translations that secured his reputation, his many other works about Japan have been widely read, and their importance in shaping the early twentieth-century European and American image of the country was profound. 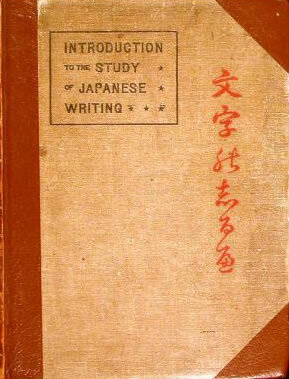 The most important titles are the alphabetical compendium of folklore and culture, Things Japanese, first published in 1890 (London: Paul, Trench, Trübner), and the Handbook for Travellers in Japan, written with W. B. Mason (London: Murray, 1890), both of which went through many editions over five decades, the former of which remains both in print and useful. Things Japanese is discussed and quoted by Plomer (BJ3a, 4b), and the Handbook would surely be the guide to which Bynner refers (BE20b) in discussing his travels in Japan with Ficke. 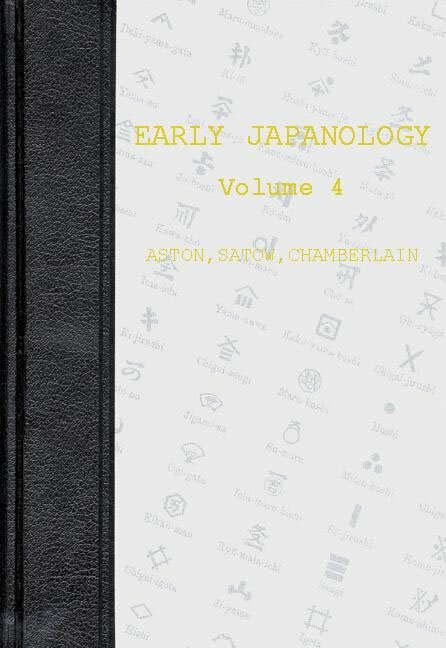 Selections from Chamberlain’s many publications in Transactions of the Asiatic Society of Japan are reprinted in Early Japanology (Westport, Conn.: Greenwood, 1998), vols. 3 and 4.
c. Related materials. 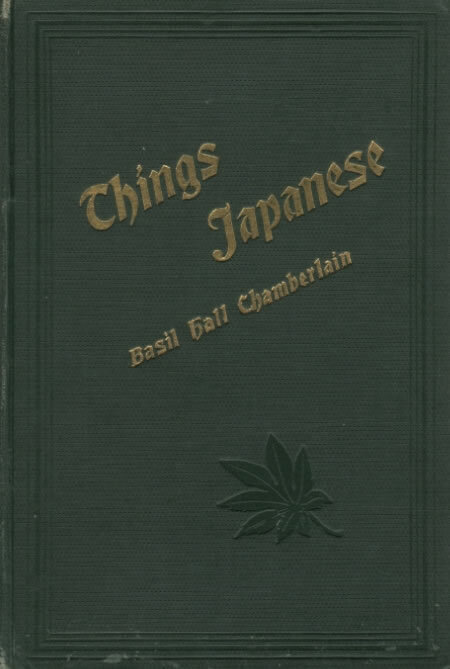 The fullest treatments in English of Chamberlain’s relation with Japan are Yuzo Ota, Basil Hall Chamberlain: Portrait of a Japanologist (Richmond, Surrey: Japan library, 1998) and Richard Bowring, ‘An Amused Guest in All: Basil Hall Chamberlain’, in Cortazzi and Daniels (CC8), though Hirakawa Sukehiro, Yabureta yûjô: Hearn to Chamberlain no Nippon rikai (A friendship torn apart: Hearn and Chamberlain’s understanding of Japan [Tokyo: Shinchôsha, 1987]) is more detailed. 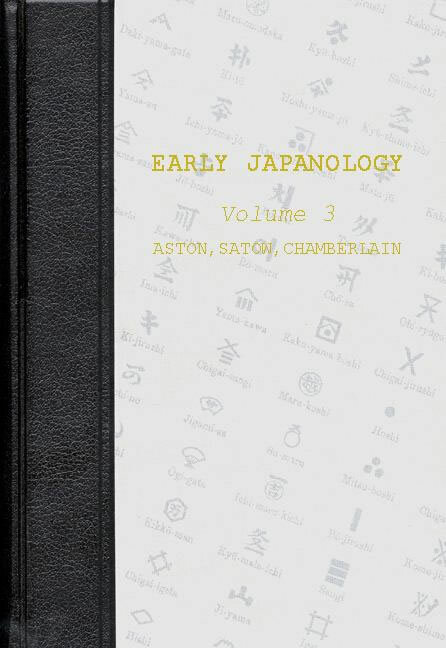 See also two volumes of Chamberlain’s letters to Hearn, edited by Hearn’s son Kazuo Koizumi, Letters from Basil Hall Chamberlain to Lafcadio Hearn and More Letters from Basil Hall Chamberlain to Lafcadio Hearn (Tokyo: Hokuseido, 1936). Hearn’s letters to Chamberlain are collected in The Japanese Letters of Lafcadio Hearn (see 9c).